Verity Lambert has been nominated to be the "Visual Arts" face of the £20 note in the UK by the public. 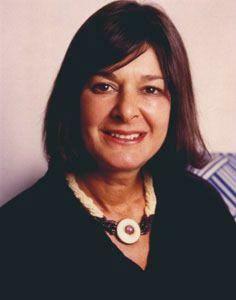 Verity Lambert was the one of the founding figures of Doctor Who and was Doctor Who's first producer. She was the youngest, first and only (at the time) female drama producer at the BBC and was the spearhead behind production. The Bank of England put out the search to the public to nominate deceased visual artists who "they believe helped to shape British thought, innovation, leadership, values and society.". That's the good news. The bad news, depending on how you look at it, is that there are a total of 590 eligible visual artists. A shortlist of 3-5 names will be chosen, which will then be wittled down to one, who will be announced in Spring 2016. You can view a full list of the nominees here and more information here.